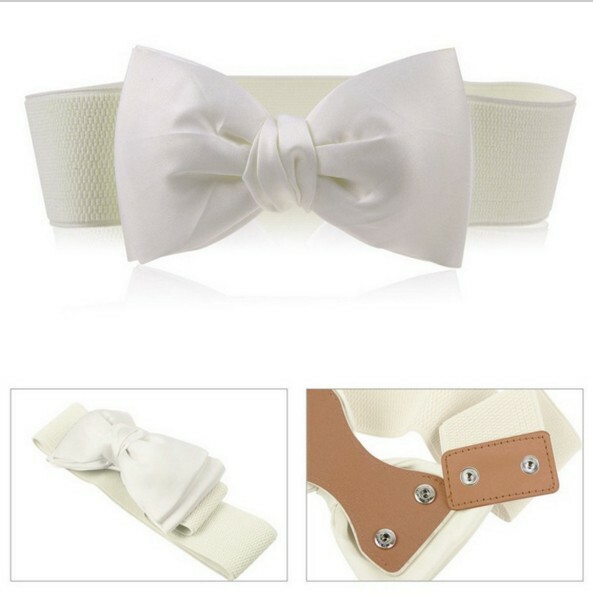 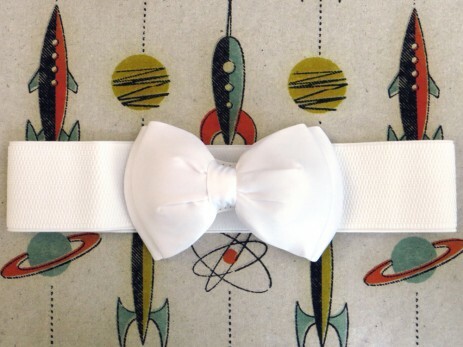 Put a finishing sparkle to your outfit with this 2 inch wide elastic belt finished with a cute padded bow! 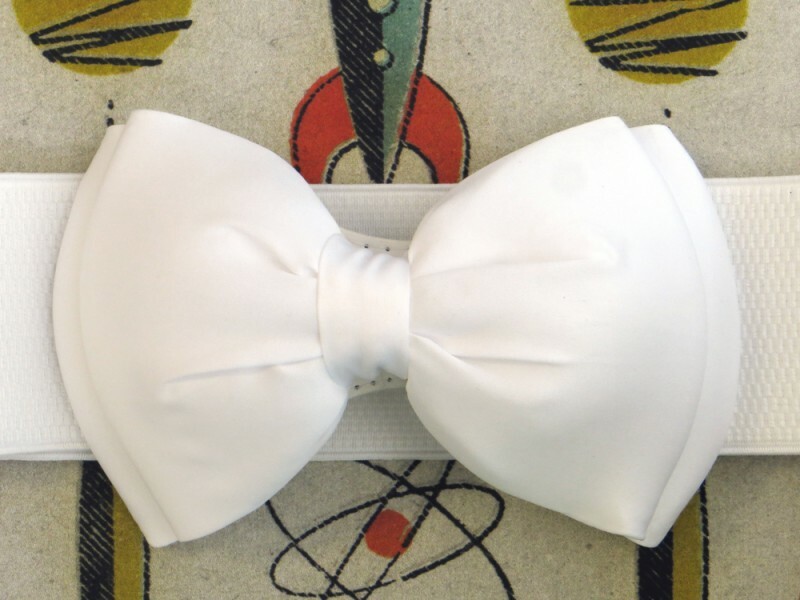 The belt fastens with popers behind the bow. 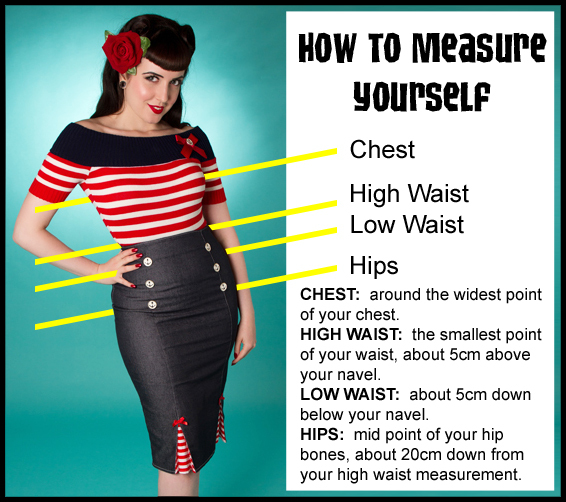 It is only available in one size and should fit waist size 26-32inches (66-81cm).